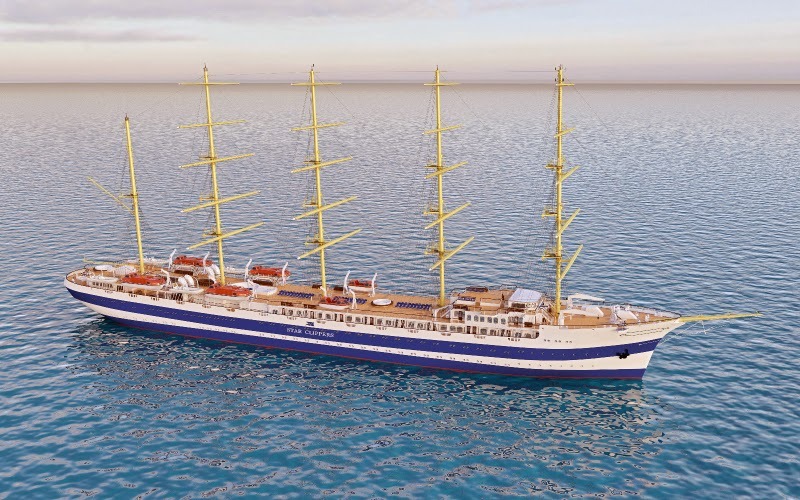 Here aboard Star Clipper one of the worst kept secrets is the imminent announcement of the newest ship planned for the Monaco-based, all-sailing fleet. Rumoured to be a 5-masted barque of 166m length and carrying up to 300 passengers, the vessel is reportedly under construction in Split, Croatia and set to be delivered in February 2017. The name of the new ship is not yet known, but whispers of Imperial Flyer, Majestic Flyer and even Galactic Flyer have been heard. Currently the Swedish Krafft family-owned company operates the world's largest true passenger sailing ship, the Royal Clipper. Launched in 2000, it measures 134m with a mast height of 54m and carries up to 227 guests on journeys that include an Atlantic crossing under full sail. The forthcoming news will also carry details of the fleet redeployment which is likely to include news of Star Clipper's return to SE Asia in 2016. Once a regular in the Andaman Sea, Star Clipper will now most likely be deployed for the whole year, encompassing itineraries in Thailand, Malaysia and Indonesia.